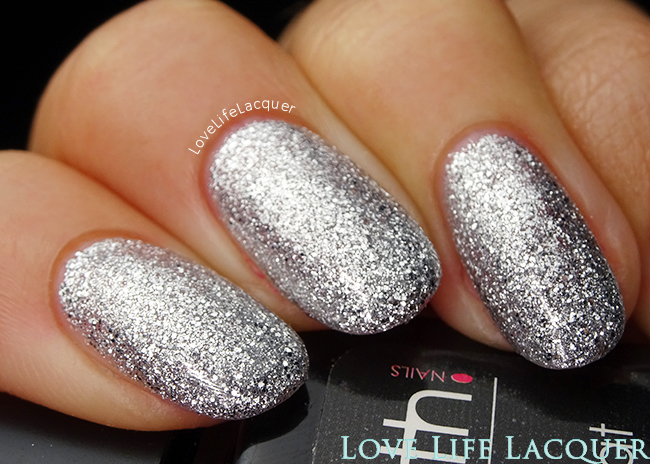 First up is Silver Stiletto. 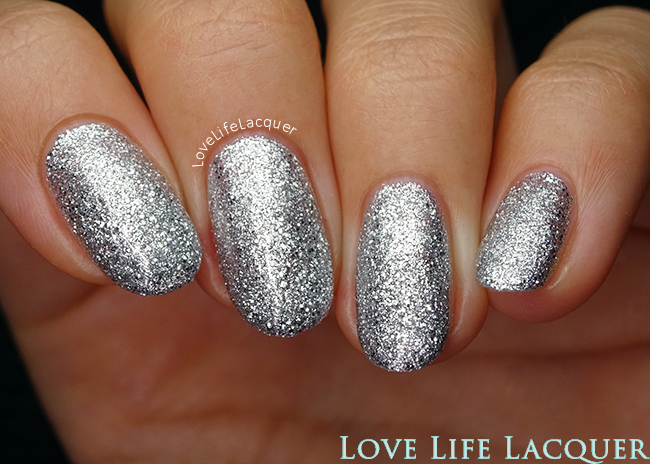 Silver Stiletto is a silver multisized glitter. 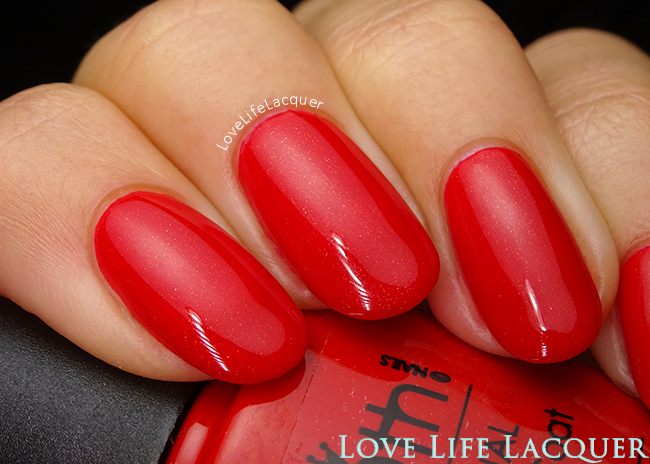 It has a nice and thick texture which I like in gel polishes. The thicker texture ensures a great distribution of the glitter particles and avoids dragging plus it makes it super easy to use. So far: impressed! This is 3 thin coats on its own. Next up is Fire Brick Red. 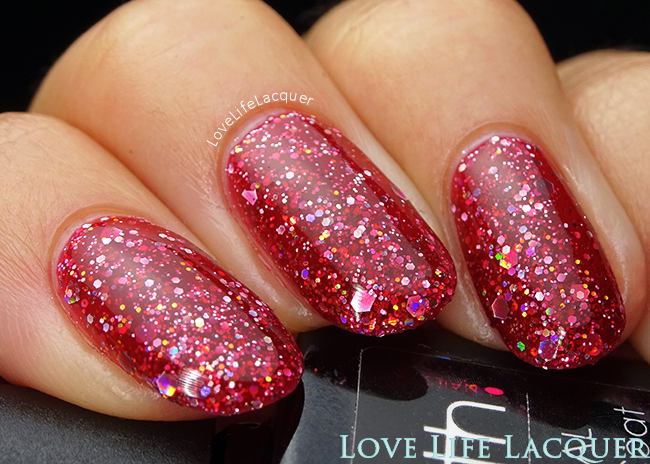 Fire Brick Red is a red jelly base infused with different sizes silver holographic glitter. This one, too, has a great texture to work with, I really love how easy they apply. Look how much depth this colour has! So many glitter, so sparkly, yes!! This is 3 thin coats. Finally, we have Hollywood. 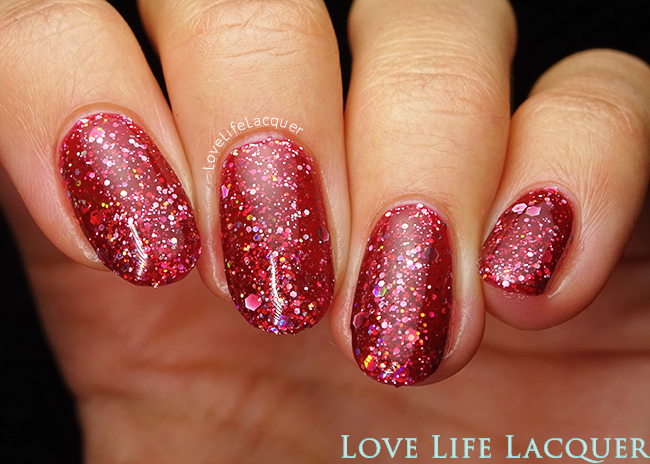 Hollywood is a gorgeous red filled with a brilliant golden shimmer. 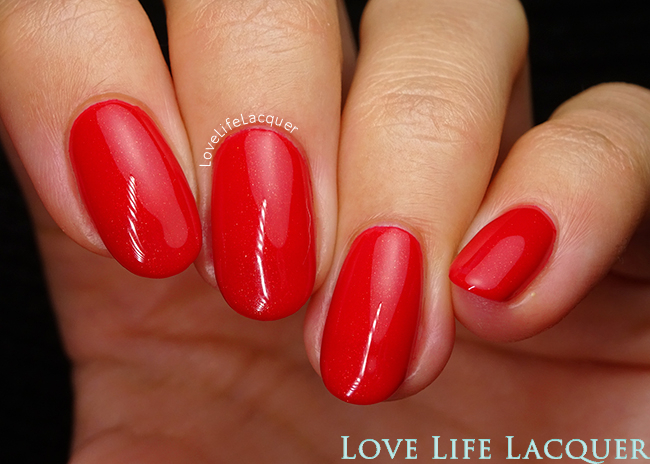 This is such a classy colour and it is perfect for the holidays. Oh, by the way, THIS STUFF IS SO PIGMENTED. Holy sh*t (excuse my French). This is 2 thin coats, boom perfection. Okay, guys. 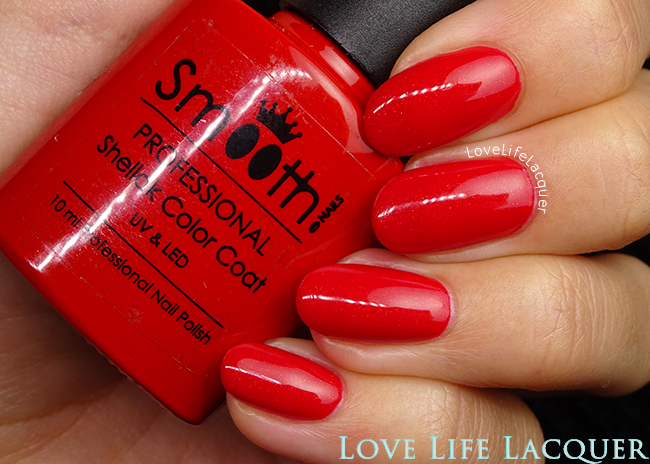 This is actually some kind of a first impressions review, because it is my first time using and swatching the SmoothNails products. I do not know how well they hold up as I do not own a base and top coat, so I cannot do a wear test (for now). However, as far as swatching goes: I love this product. It has a nice texture, not runny at all, but smooth (hence the name hahah) and a bit thicker. I personally love gel polishes that have a thicker texture to them because they are easier to work with, in my opinion. And by thicker I don't mean realllllly thick and sticky, no they are still super smooth. 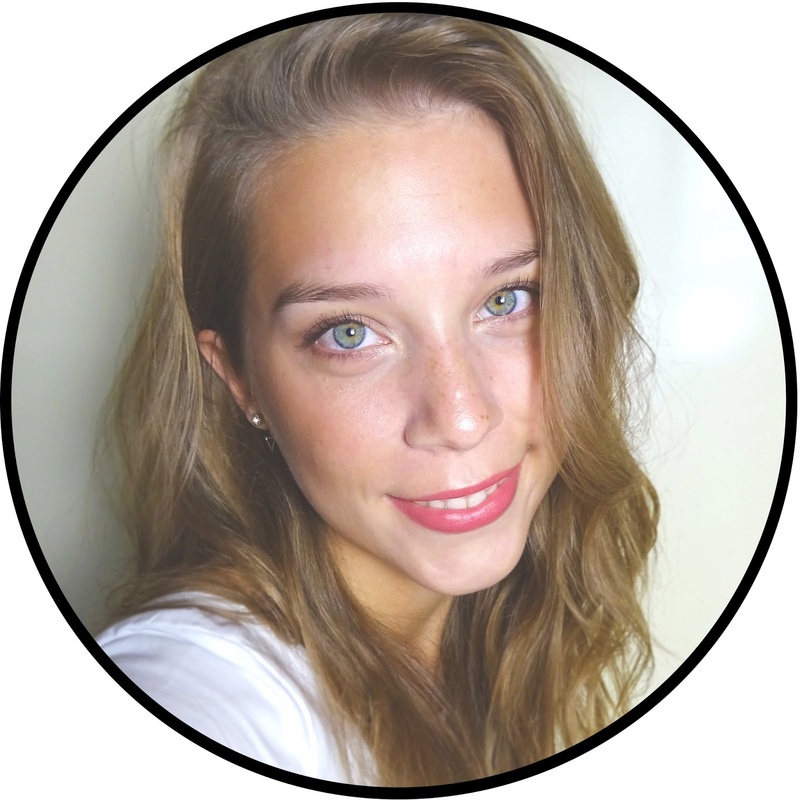 Bottom line: great product, easy to work with. The colours I swatched all sell for different prices. Silver Stiletto sells for €12,95, Fire Brick Red for € 14,95 and Hollywood sells for €11,95.